So you've heard of GMOs, but what are they, what are the risks and benefits, and what about GMO food and products? In simple terms genetically modified means that genetic engineering has taken place to alter the genetic material to display new traits. Bacteria and Microbes- in the field of medicine genetically modified bacteria also known as transgenic microbes. Viruses can also be modified and used (with some success) with sufferers of some genetic disorders. It is called gene therapy. Plants and Seeds- food sources like rice, corn (maize) and soya beans. For resistance to pests, endurance to weather extremes and even taste improvement. The first GM crops were sown in 1996, and since then there have been many concerns about their use and safety. In September 2000 there was a huge controversy in the US with the ingredient known as 'Starlink' found in TacoBell taco shells. 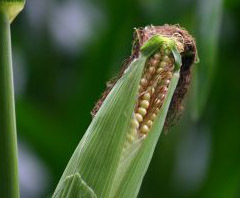 Starlink is a GM ingredient which was approved for corn for use as animal feed only. The debacle ended with the sale of Starlink GM seeds being discontinued altogether. For the long term health of our planet- cross-pollination has already occurred between GMO and non-GMO plants. Investigation is still being undertaken into whether GM crops will lead to the evolution of resistant pests to even the GM crops. It is estimated that about a third of the soya beans produced in the USA are genetically modified. Recently some areas in California have placed bans on the production of GMOs. The UK had such a large consumer backlash to GMO foods that many biotech companies were forced to drop their GM research to re-focus their efforts on more conventional research to improve the quality of UK crops. Buying non GMO products. If you are interested in buying non GMO seeds, seed suppliers will usually promote the fact that their seeds are organic, non-GMO or non-hybrid.